Marcus Aemilius Lepidus was triumvir with Octavian and Marcus Antoniusm and served as the last Pontifex Maximus of the Roman Republic. He had previously been a close ally of Julius Caesar. 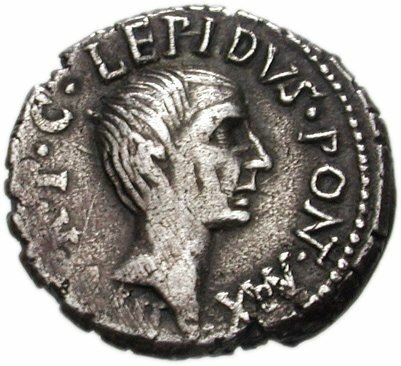 Though an able commander, Lepidus has always been portrayed as the weakest triumvir. After losing the power struggle to Octavian, he was stripped of all offices except that of Pontifex Maximus and sent into exile. He spent the rest of his life in obscurity, even if he was periodically allowed to return to Rome for senate business. He died peacefully in 13 BC.